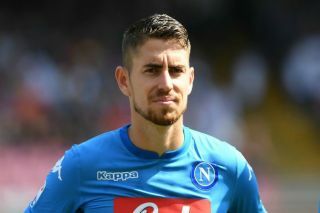 Jorginho is set to move to Chelsea after being strongly linked with a move to Manchester City, along with Napoli coach Maurizio Sarri, according to the Evening Standard. According to Italian journalist Fabrizio Romano on Twitter, the deal is set to cost the Blues £57M (€65M). The Italian international was widely tipped to join the Premier League champions, however as per the Metro, Napoli President Aurelio De Laurentiis said that he favoured a move to London instead of moving to Manchester. He continued: ‘He called me, we spoke on the phone and I said, ‘OK, I don’t agree with you on A, B, C’. ‘Let’s solve the situation the two of us’, he told me. And we did it, we solved it. ‘However, for personal reasons I won’t get into, the player prefers to live in London rather than in Manchester, I can understand him. ‘If Chelsea pay him more, I can understand it too. So I can just apologize to Khaldoon. Jorginho’s reputation as one of Europe’s best midfielders has grown in recent seasons. He is one of the best distributors in Europe and is a deep-lying playmaker, and the Brazil-born Italy international scored two goals in Serie A last season, creating 44 chances with four assists. According to Squawka, he has completed 2489 passes this season with a pass accuracy of 89% – and will hope to improve Chelsea’s goals tally next season as they finished with 62 goals in 38 Premier League games last season – which is the lowest scoring tally of the top six sides.